If you want something a little different for your casual furniture scheme, the Sitsational ModFX 1-seater lounger in deluxe cord dark purple will certainly fit the bill. Stylish and pleasing to the eye, this dark purple bean bag chair gives you all the comfort of well-constructed seating and makes a decorative statement at the same time. Useful for junior furniture or adult furniture needs, a bean bag lounger can be the answer to some of your tough seating problems and this one provides you with well-constructed quality that will last for years to come. Handmade and sewn of stylish purple corduroy solid fabric, this lounger features a 100 percent recycled polyester fiberfill interior that is designed to cradle and comfort you while you watch television, snack, play the guitar, or simply relax after a hard day. 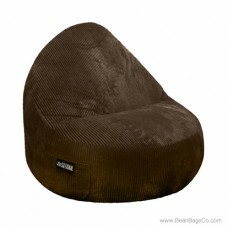 Easy-to-clean and maintain, your junior or twin-sized bean bag chair will soon become your go-to seat for relaxation. The handy side pocket holds your remote, MP3, or magazines so all you have to do is sit back and enjoy your bean bag lounger. Looking for other colors? 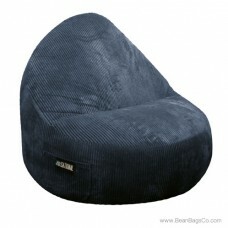 This Sitsational Lounger comes in a variety of colors to suit your needs: berry, chocolate, and midnight.